Before you make your list of service learning projects, you can share this special book with your students. 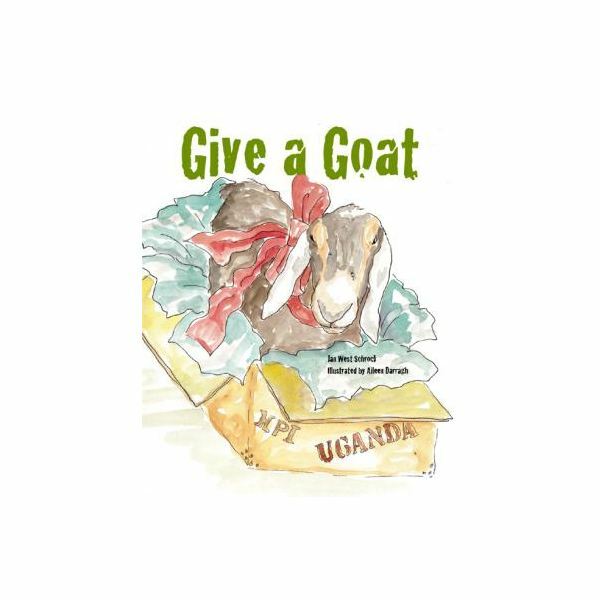 Give a Goat by Jan West Schrock is the story of a class of students who want to buy a goat through Heifer International for service learning. On a rainy day, their teacher reads them the book, Beatrice's Goat. This is a book that explains how the gift of a goat can make a real difference in the life of one family. The children decide they want to do their own service learning project and raise money to buy a goat for a family. They sell healthy snacks to teachers and kids, and they raise enough funds to buy a goat and a few other animals. At the end of Give a Goat, other classrooms discover that service learning projects are fun and important, and they raise money for other organizations. After you read Give a Goat, ask students to define service learning and start brainstorming a list of service learning projects. Explain that the children in the book are involved in service learning projects and see if your class can come up with their own definitions and lists. Once they have a definition, they should be able to list several examples from the book that exemplify a service learning project–such as the healthy snack sales or the car wash to raise money to help other people. They should also be able to tell you what some of the lessons the students in the book learned. For example, when buying the goat from Heifer International, the class in the book learned many economic lessons as well as lessons about non-profit organizations. Remember, service learning is providing a service and learning from it at the same time! In this lesson plan, you and your students will decide what project to do after you brainstorm a huge list of service learning projects based on Give a Goat. You can also base ideas on past projects your students may have finished with other classes or groups. If your students are having trouble thinking of any ideas, then bring up issues that occur in your community such as elderly abuse, puppy mills, poverty, and so on. Once students know some issues that service learning may focus on, they may be able to come up with more ideas on their list of service learning projects. You will probably need to break the project down into smaller steps, especially if you are working with younger elementary students. For example, if students want to buy a flock of chicks from Heifer International for a family overseas, what do they do? They have to find out how much a flock of chicks cost. How will they raise money? Who will keep track of their money? How will they order the flock of chicks? You can also give them some of the learning goals you will have for them during the project. It is always a good idea to tell students your objectives for service learning projects. With any long-term project, such as raising enough money to buy animals through Heifer International, it is important to revisit your goals and discuss your progress along the way. Figure out what is working to raise money and what is not. You can always reassess and change your strategies of any service learning project in the middle of it. Don't forget to celebrate in some way when you have reached your goal. Not only will you have helped people, but you can also help your students to feel good about doing for others and have fun at the same time. It is always great to celebrate success! Schrock, Jan "Give a Goat." Tilbury House, 2008.